Well, now that the weather has settled down on the right side of the country, it is getting a little crazy on my side. We have just been hit by the first of what the weather forecasts as three large storms to hit us. I guess it is remnants of typhoon Songda? I hadn't heard anything about it, until I heard it was sending things my way! I have the G-baby today and tomorrow, so I am hoping that if we lose power (like we always seem to do during wind storms) it will be on Saturday. I do not want to try to take care of a toddler with no heat, no Disney Jr, and no music for nap time! The only upside to this whole situation is that I made a huge batch of this amazing Quick Curried Squash Soup. As soon as I heard the weather was going to take a turn for the crappy, I knew soup would be what would make things seem a little better, and I don't know about you, but when it is wet and cold outside a little spice seems to make everything much better. 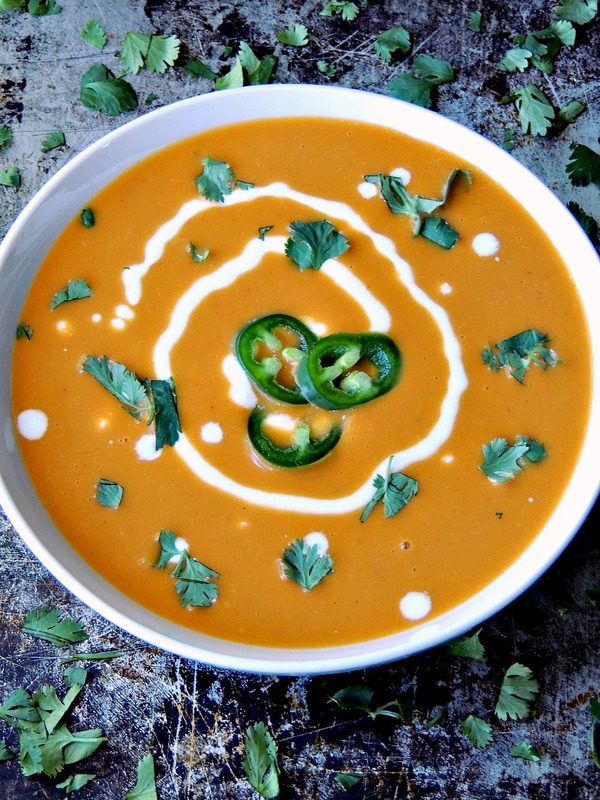 Last year our go to soup with a bit of a kick was my Creamy Chipotle Pumpkin Soup. 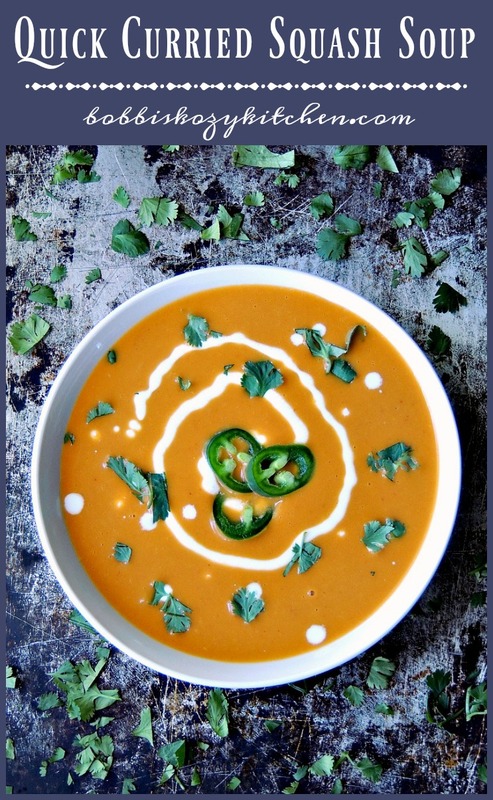 I thought about making a batch of my Creamy Slow Cooker Red Curry Lentil Soup, because this girl digs red curry about as much as she does chipotle, But I wanted something different. I also wanted something that could be whipped up real quick. I mean like I just put the baby down for a nap and I want soup NOW quick. Plus I know y'all don't want to wait forever either. So this soup is done, and ready to eat in less than thirty minutes, with very little work. 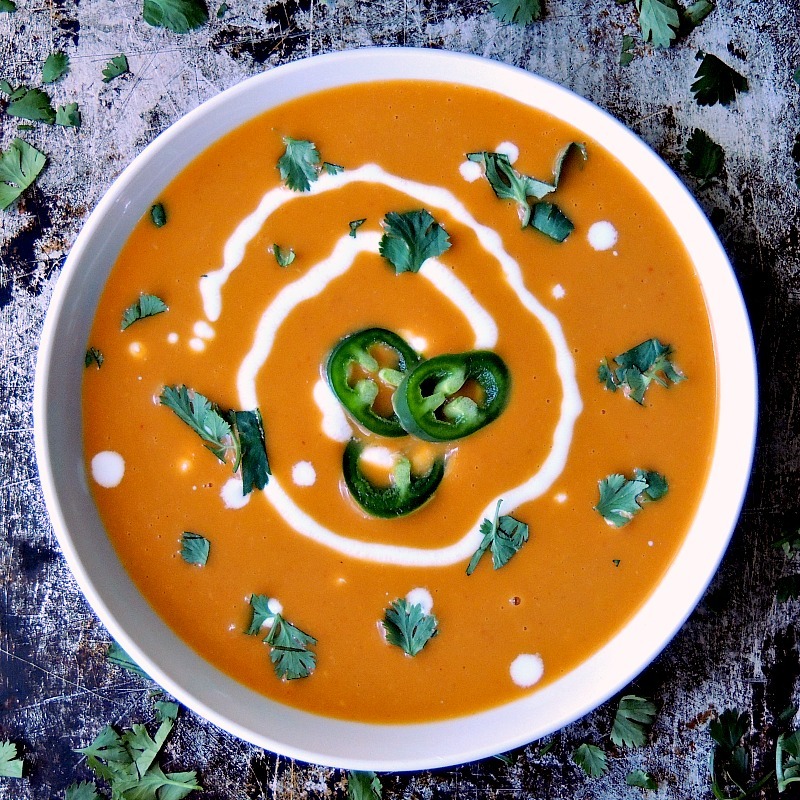 This soup is just what the Dr (or food blogger) ordered for a cold, blustery day. Warm, creamy, rich, with a bit of spice, this soup just wraps you up and cuddles you from the inside out. I ate 3 bowls in a row. I was a little piggy! Miss Picky Pants loved it, and my daughter in law Heather loved it. Well he said it was good, but just not his cup of tea. The earthiness of butternut squash, paired with spicy curry paste, makes this soup the perfect meal for a cool fall or winter night. Heat the olive oil, in a large soup pot or dutch oven, over medium high heat. Cook the onion until translucent, about 5 minutes. Add the garlic and ginger and cook an additional 1 to 2 minutes. Add the remainder of the ingredients. Bring to a boil, then reduce to simmer. Cook, uncovered, for 15 minutes. Use an immersion blender if you want the soup completely smooth. Serve topped with a drizzle of coconut milk, sliced jalapeno, and chopped cilantro leaves. Chef's note - All curry pastes vary, so I suggest using the Thai Kitchen paste if possible. Also, start with 3 tablespoons, then add more to taste. We like things spicy here, so I added a little over 4 tablespoons to my first batch. I actually added even more to subsequent batches. 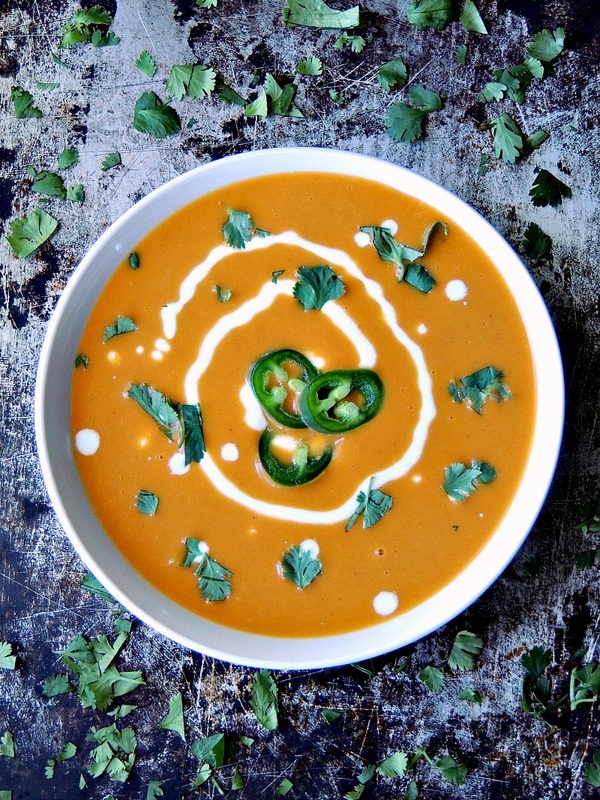 This recipe looks delicious, I love love love curried squash, can't wait to make this soup! Yum! This looks delicious and perfect for a chilly fall day! This looks so yummy. Perfect for fall. Adding the fish sauce and curry paste really makes a difference in the taste of plain old squash soup. Looks good! 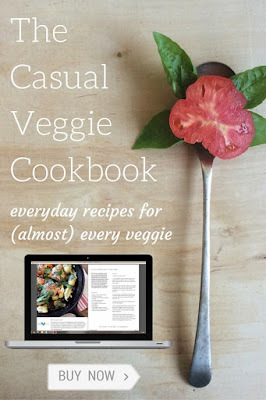 I just made something similar and it was delicious! Oh yummy!! This looks so good! I love squash soup. The perfect soup to cozy up with in colder weather. Defintely need to try making this soon! Oh yes! I do hope you give it a try. It is so easy!! I'll take Kevin's share! This is my kinda soup! 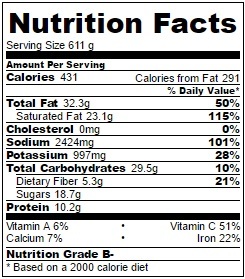 Haha you are more than welcome to join me in a bowl of this yumminess! !